It’s entirely possible that I love wine just as much as I love yoga so it goes without saying that I’m quite excited about this upcoming series of yoga classes & wine tastings that I will be leading next month in CT. Click the image to read more about it or click here for the Eventbrite page where you can also order tickets. 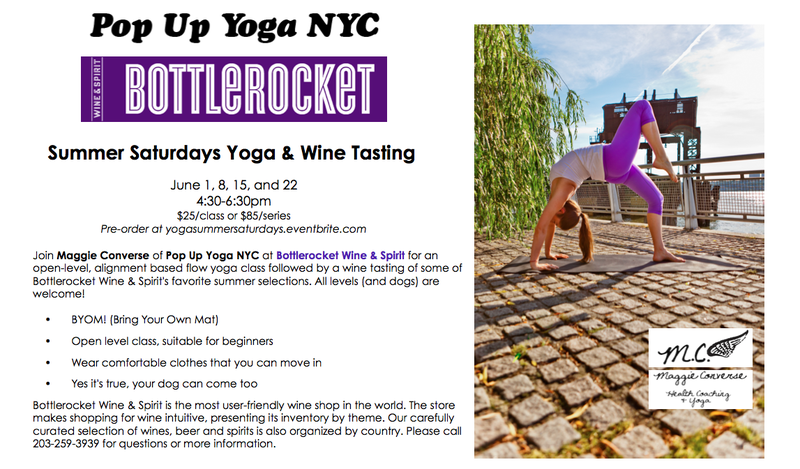 Classes start the first Saturday in June at 4:30pm at Bottlerocket Wine & Spirit in Westport, CT. It should also be noted that dogs are welcome!